There is nothing new on the technical side so far - I am currently a bit short of time to continue the debugging. Many things are halfway done but I will need some longer period of concentrated work to push these things ahead. 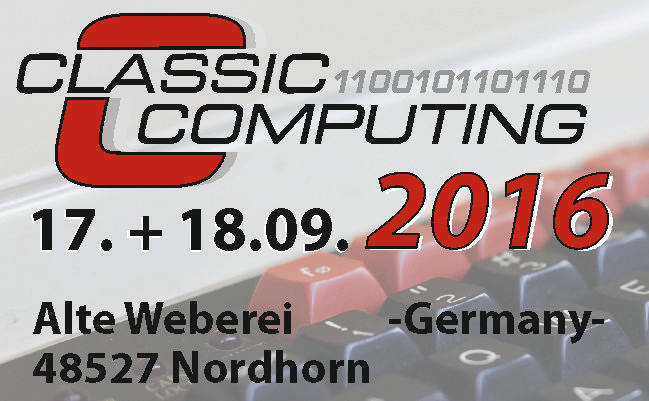 On the other hand I am busy preparing my booth for the Classic Computing 2016 in Nordhorn (Northern Gemany close to the Netherlands). So in case you like to see and of course hear the FPGASID prototype yourself, it might be a good idea to reserve the weekend and visit the show.